In a Nutshell: In recent years, the B2C payments space has grown tremendously, partially by employing faster and more secure payment methods than ever before. But much of the B2B payment world has remained in the Middle Ages, relying on paper checks and time-consuming reconciliation methods. 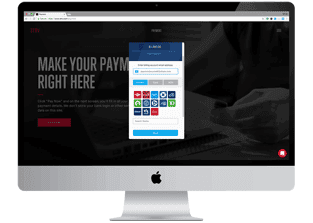 PayStand is helping to bring B2B companies into the digital era with a cloud-based payment platform that enables businesses to accept and automate payments, including bank debit, ACH, and credit cards, to get money in their hands faster. The flat monthly rate subscription service also allows businesses to avoid transaction fees that can quickly add up to significant sums. When they weren’t busy protecting Christian pilgrims traveling from Europe to Jerusalem, England’s Knights Templar somewhat inadvertently invented the basis for our modern banking system. A letter of credit — a predecessor to today’s paper check — was as good as cash within the Templar network, and was a world-changing innovation. In the intervening centuries, the system was, of course, expanded and refined, but the fact remains that many aspects of the billing and payments system that sprung up in the Middle Ages are still in use today. In the B2C world, this has been changing in recent years due to big strides in online payment options that offer consumers faster and more secure payment methods than ever before. But in many ways, the B2B world remains mired in the Middle Ages. Mark Fisher, Head of Marketing at the Santa Cruz-based company PayStand, said North American businesses exchange $18 trillion in paper checks alone each year and that more than half of all commercial payments globally are still paper check. Founded in 2013, PayStand is working to reduce that number by bringing digital payment solutions to B2B companies. PayStand’s model — similar to Venmo’s but for commercial transactions — is applicable to businesses across a vast number of industries, Fisher said. The types of companies that can benefit the most from the PayStand business model include those that deal with a high number of monthly transactions, accept multiple payment methods, and/or sell a diverse array of products that necessitate different payment types. It is also ideal for companies that have very complex and lengthy invoicing and reconciliation processes, with many players in the supply chain, he said. These are often businesses that are generating anywhere between $5 million to $250 million in revenue or higher, and still deal with 60% to 80% paper checks. Common industries include insurance, wholesale manufacturing, construction, or field and business services. Fisher said now multiply that by hundreds or thousands of payments each month for any medium- to large-scale business. And that’s just a simplistic use case. For most businesses, the payments process is much more complex with multiple parties. Cash is the lifeblood of a company, Fisher said, and this long time-to-cash lag can have a huge impact. By allowing a digital payment method, a company can accept payment immediately, tie the payment to a specific invoice, and reconcile it to the bank account in very little time. Using PayStand’s platform, businesses can even embed specific details of an order or payer directly into the invoice – what the company calls SmartData – allowing immediate reconciliation. Fisher said this process can dramatically improve operations and cost savings by getting rid of a lot of the manual functions traditionally associated with financial processing by automating them and moving them to the cloud. “Our model is suited for very immediate, quick reconciliation, which is completely different from what you see out there for most B2B payments,” he said. 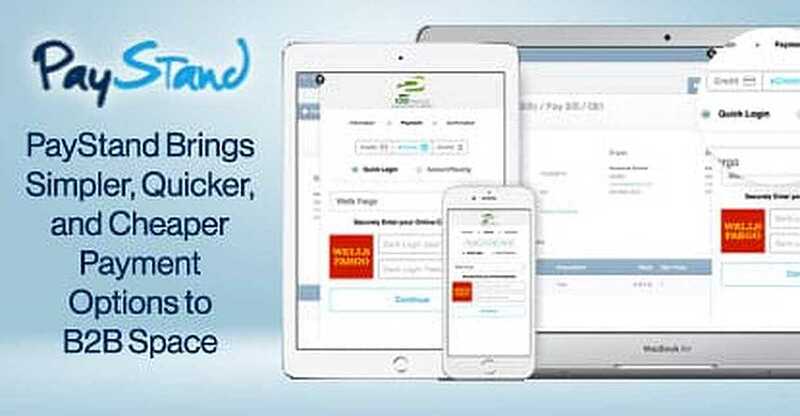 PayStand’s website promotes the company as a “disruptive business model” with its “Payments-as-a-Service” approach. Offering flat-rate plans sets PayStand apart because businesses often lose revenue to transaction fees that can quickly add up, especially for those companies with a large number of monthly transactions, Fisher said. 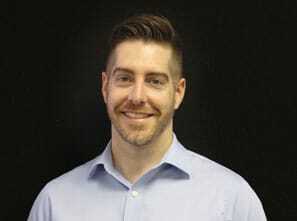 Mark Fisher is the Head of Marketing at PayStand. 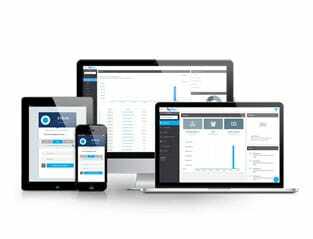 Currently, PayStand offers a range of pricing and options, beginning with its Accounts Receivable plan that starts at $499 per month moving up to its complete Enterprise system that is priced on the individual needs of the company. An Accounts Payable solution is also in beta for a select number of customers. He said eventually offering a solution for Accounts Payable helps grow the PayStand network. Fisher said once a company is in the PayStand network, there is no charge for any transactions across that network. “Just like Netflix is a subscription model, we are a subscription model. So it really makes sense. When both parties are on the network, you can move money instantaneously, reconcile, and there are no fees,” he said. PayStand has garnered some attention in the media based for its use of Blockchain technology — a popular phrase in the news these days. But Fisher pointed out that although it does use Blockchain, it is not a “Blockchain-first” company. PayStand uses the technology in a very real way, he said, while many companies only throw around the idea of using Blockchain technology with no actual product to support it. Fisher said PayStand employs Blockchain omnivorously and takes an agnostic approach to which Blockchain it uses, and sees it primarily as a way to create a more modern, efficient payment network that solves real-world problems for its customers. Another example would be certification, said Fisher, where a business needs to verify payment along its supply chain. Blockchain allows users to know with certainty that a payment has been made and the record of that payment has not been tampered with. He said this provides an immutable source of truth when it comes to a transaction history, workflow history, or approvals. But Fisher said the team at PayStand believes that some basic things need to happen between now and then, and improving the enterprise cash cycle is a great place to start. A lot has changed since the Middle Ages, and businesses don’t have to rely on paper checks anymore. Now that the technology exists, it only makes sense for B2B companies to begin moving away from centuries-old practices for simpler, quicker, and cheaper payment solutions. Fisher said PayStand’s philosophy supports a radically different way of thinking about finance, taking into consideration where money is centralized, who has access to and controls money, and how money moves.